CLICK HERE FOR A LARGER MAP: This map contains options to filter, search for events, or print a copy of the map. 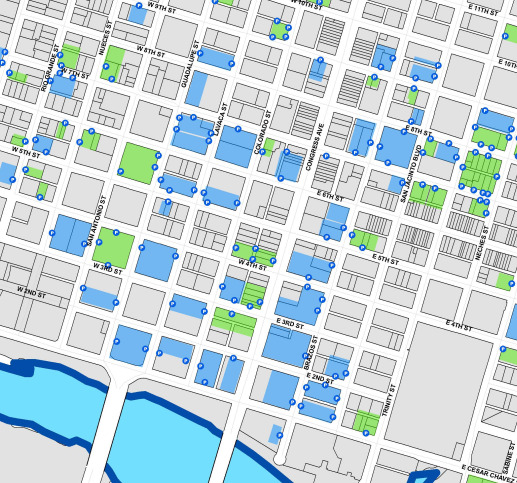 Map of Downtown Public Off Street Parking Garages and Lots. Please note that construction might affect the availability of parking in the downtown area. Find more information about City of Austin parking resources and initiatives. The below map is not a service of the City of Austin. The information is provided by ParkMe. The City of Austin does not endorse this product or guarantee the accuracy of the information provided.